Thorsten Heins confirms Blackberry are still looking into tablets, but only if they're profitable! Now some of you might think that the title is slightly strange; why would any company sell a product if it wasn't profitable? Well perhaps that is a question for Amazon who sold their Kindle Fire at a £2 loss per unit! But, that's slightly different from Blackberry's position because Amazon were easily able to recoup the cost of that and make their profit from the sale of content for the Kindle Fire's, but Blackberry don't have such a fortunate position because their ecosystem isn't quite big enough to give them the same returns just yet. 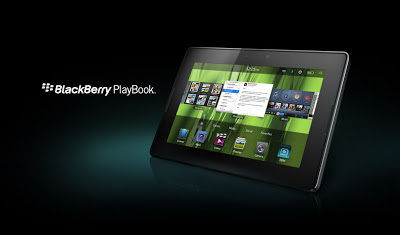 Indeed, you might remember that RIM, as they were, wrote off $485 million because of unsold inventory of the BlackBerry PlayBook. That essentially meant that nearly half a billion dollars of money was wiped away because Blackberry Playbooks couldn't be sold at a high enough price to recoup the expenditure from making them. As we move forward into 2013 Blackberry will need to seriously consider offering a tablet solution to remain relevant. Unfortunately though, the reality is that any device they offer will have to compete in a world filled with iPad's, Kindle Fires and Nexi, all of which have their own specific area of speciality and any BB10 tablet would have a hard time finding a niche in that market. Blackberry would even have a problem in their ethereal business market which is now dominated by iDevices. "Mobile computing is not going to be decided in the next quarter ... We have got to figure out as an industry how we get there. All I know is that I want us to be a leader there." Hopefully BB10 will be enough for us to see see you when we're there too Thorsten!